This list of the most important social bookmarking sites will be added to throughout the year. So, let this serve as your official location for discovering social bookmarks and social bookmarking web sites. As we hear of new social bookmarking sites being added, we will post them here and when a more accurate description of each social networking site gets edited, you will have the most up-to-date description available. Unlike social networking which are groups of people who share interests and interact through social networking web sites, social bookmarks are collections of websites that have been flagged by users. You might have found a Web site you wanted to come back to later and “bookmarked” it in your browser. 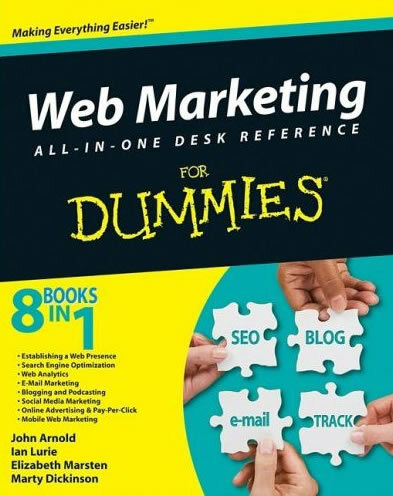 That’s what social bookmarks provide…a way for you to keep track of Web sites you want to visit later while also showcasing those preferences to other Web site surfers. This list of the most important social networking sites will be added to throughout the year. So, let this serve as your official location for discovering social networks and social networking web sites. As we hear of new social networking sites being added, we will post them here and when a more accurate description of each social networking site gets edited, you will have the most up-to-date description available. And, let’s not forget forums of course. Participating in forums is one of the greatest places to spend your marketing time because people read your posts and want to know more about you. So, they visit your Web site through a link provided on every forum posting you make. Do you have a favorite social networking Web site that’s not listed here? Let us know and we’ll post it. Simply post a comment and a description. DM News reported in its 11/24/2008 issue that a survey conducted of 1000 adults in October by Guidance/Synovate (wanted to make sure I gave full credit to everyone there) revealed that 45% consider E-mail to be the BEST way to learn about online bargains. What does that tell us? That almost half of us “spam haters” (and that would be you and me) actually prefer to learn about bargains by E-mail. In short…we “say” we hate spam, but we actually PREFER it too! Now, let’s think about this for a minute. We’re willing to tie-up a commercial spammer by his fingertips for sending even one junk email that causes us to spend the energy to click a mouse to delete it from our email servers. But, we welcome emails telling us of sales and special deals? Another statistic in the same issue from Retailermenot.com/Harris suggested 33% at lest occasionally visit coupon websites. 9% don’t buy hardly anything without checking for online coupons. A couple of weeks ago I was watching a news program and some company that makes coupons was about to hire 50 new employees because their coupon business was booming. Can’t remember who it was, but put thtat statisic together with that news program and it appears coupons are taking off. And, one last statisic by Allen & Gerritsen showing 52% of women reported cutting back on their spending. So, the next thing I thought of is…I wonder how someone goes about creating a coupon? And, can one be created online…for free? Without a designer? So, naturally I went on the prowl to find a free web-based coupon creator and found this one at http://marluckmarketing.com/couponmaker/. No graphic design skills needed! Didn’t even have to give my email address to this website. Does this seem like something you can do? I’ll bet it is. 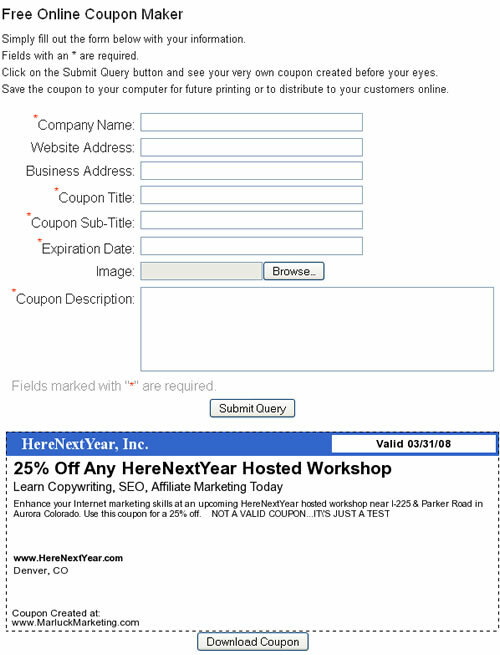 So, what kind of coupon can YOU create to offer to your customers and prospects this week? When you come up with the right offer, send it by email. Apparently it’s the most preferred way to learn about a bargain. Why is it that AIM showcases the Jonas Brothers band every other day? I use AOL’s Instant Messenger program (AIM) to communicate online with up to 9 helpers, often many of them at the same time. AIM takes up one of my five computer screens every day, all day, and often a few hours at night too. With that kind of drive-time, you can imagine I see just about every marketing attempt AIM makes. But, one thing has me puzzled. Why does AIM feature a photo of the Jonas Brothers 3-4 days per week? When one fires up AIM a home page comes up on screen. This is where they have a bunch of photos of celebrities and what dirt of the day is being dished. Obviously, the target here is adults. 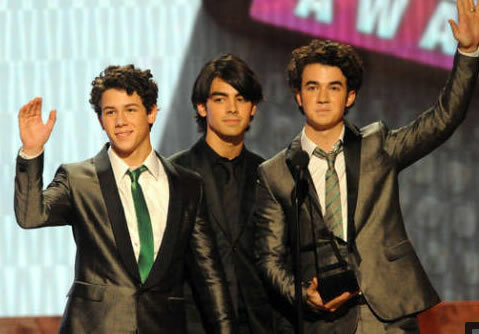 And, that’s why I am so confused with the Jonas Brothers photos all the time. What do 25′s and 30 somethings care about the Jonas Brothers? Isn’t that a band that targets junior high school girls? I have some real estate investors and agents for clients and friends. As you can imagine, most are having a rough go with the current real estate market. But, there are a few who are doing just fine…and are in fact making money in real estate! Do you want to know what their secret is? They have home staging experts to help them sell. Home staging involves bringing in a bunch of furniture and decor to dress up a few rooms for show in a house. 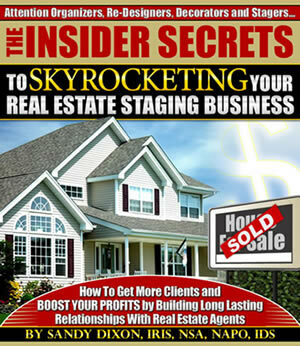 What is the secret shared by the best staging experts in America? They’ve learned from the best! And, apparently, Sandy Dixon is the best. I had the privilege of sitting-in for a few hours on one of Sandy’s live workshops in Evergreen Colorado a couple of months ago and she is in more demand then EVER right now with this economy. But, I have another reason. It’s to demonstrate how in even the WORST of markets and economies, opportunities present themselves. There are plenty of people out there who are doing just fine in this economy. It’s just a matter of looking at your own business and doing things a little differently. Okay, maybe a lot differently. What kinds of businesses have YOU seen become popular in this down economy? Maybe your own? Tell other readers about it here! The combination of squeeze pages and affiliate programs are a match made in heaven. You can churn out a squeeze page in under an hour with no web design experience and begin promoting affiliate products within the same afternoon. Creating squeeze pages and promoting affiliate programs came up as a topic on one of my favorite forums, SitePoint.com, where I replied as much as I could in the public area but there just comes a time where you have to show examples and give links to your examples. Forum moderators hate when you post links for fear that you’re self-promoting. So, I replied to the original poster and then offered if anyone else wanted to know what I sent to him, I’d be glad to forward a copy. Now I’m getting enough P.M.s from readers where it’s just easier to put my response into a blog post so I don’t have to dig up my notepad file and copy and paste the response. Guess we’re kind of taking the forum conversation to-the-blog as you are welcome to post your comments and questions here and I will respond personally. But, first, here is the response I gave for the “how to create squeeze pages” part and I have made a separate post for how to promote affiliate programs. opt-in. You probably don’t have to go that overboard to start selling. To create everything that you see there, the page, the layout, the auto-responder series, the form, the thank you page, everything is in one simple online product tool. I purposely did not use any fancy graphic design because I wanted to show that even such a basic page can bring results as incentive to others who are on the non-technical side of the spectrum. The same product does have a built-in feature that will let you send email to the list of people who have opted in as well. So, it’s all there. That’s pretty much all you need to get started. P.S. Check out my part 2 of this response related to how to promote an affiliate program.